Review and Swatches : DMGM Cosmetics Photo Fix Lip Color in shade " FUSCHIA BITE "
DMGM Cosmetics Photo Fix Lip Color in shade " FUSCHIA BITE "
Bold lip colors provides a quick cure to my mood swings and DMGM Cosmetics Photo Fix Lip Color in shade " FUSCHIA BITE " is a perfect bold , beautiful matte fuschia pink color that can brighten up any dull morning in no time. 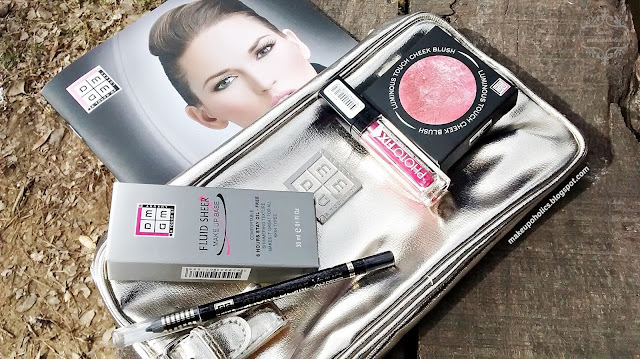 Get set for instant glamour with just a one step sweep of light weight, non - transfer liquid lip- color. Provides exceptional coverage with a moisturizing rich matte finish. Longwearing & comfortable on the lips. Won't feather or smudge. For a perfect finish, outline your lips with DMGM Photo Fix Lipliner selecting a shade similar to the lipstick shade chosen and fill in gently with Photo Fix Lip Color. - Allow at least 4-5 minutes drying time after application for stability. 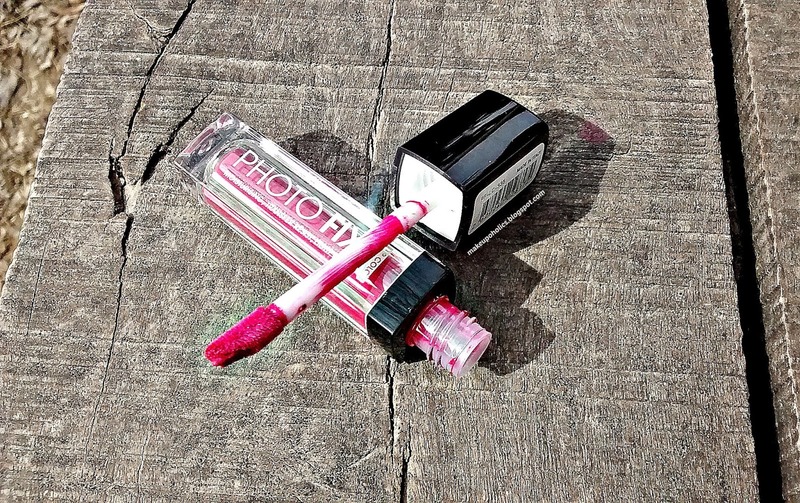 - For a more gorgeous effect use Diana Extreme shine lip gloss over lipstick. I am a huge fan of lip cream or liquid lip colors . 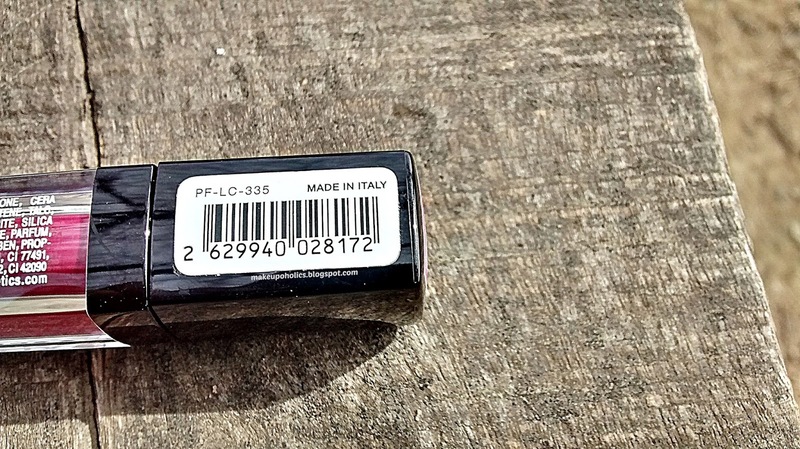 Mainly because of their longevity and matte finish . 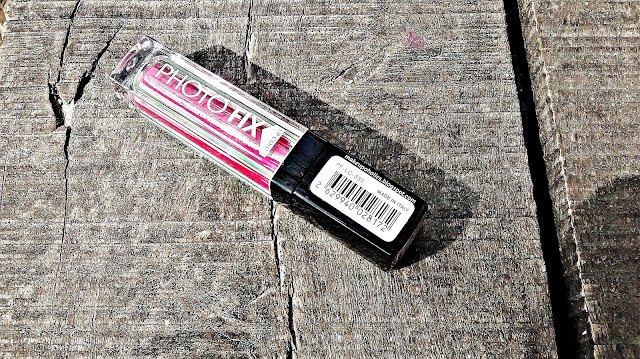 LOVE this awesome lip color and the formula is just so perfect for me . 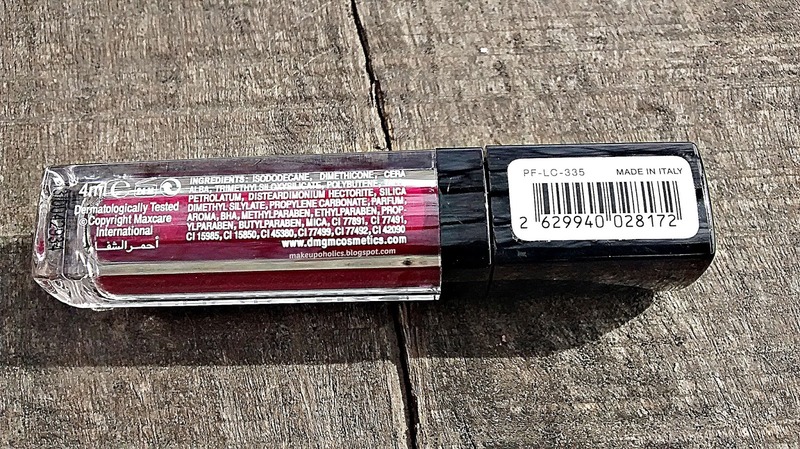 DMGM Cosmetics Photo Fix Lip Color in shade " FUSCHIA BITE " comes in good quality transparent plastic tube packaging so the color is visible from every angle . The cap of the glass tube is black in color and is attached to a good quality doe foot applicator. The ingredients detail and other information is well written on the back of the glass packaging. DMGM Cosmetics Photo Fix Lip Color in shade " FUSCHIA BITE " is a beautiful bright fuschia pink matte color that is so bold and luscious. It perfectly compliments my Nc25 skin tone . The texture is very creamy and feels super light on my lips. 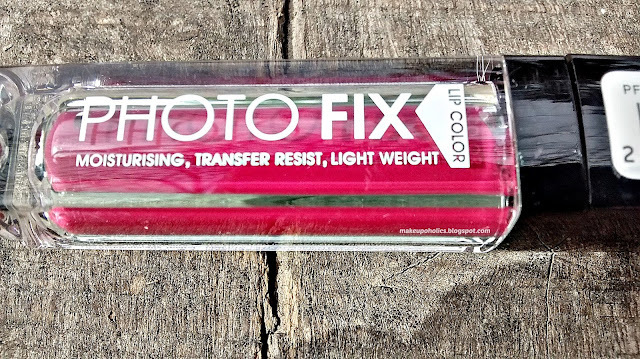 It glides smoothly and evenly plus dries into matte finish . If your lips are dry like mine then a little exfoliation and moisturizing your lips is highly recommended for smooth application. The pigmentation is so great that you don’t need to build it up to get the perfect shade. Pigmentation is great and Lasting power is awesome . it did lasts for more than 8 HOURS on my lips without any touch ups ( these hours include drinking , eating , chatting ,travelling to another city plus kissing of my baby girl 1000+ times ) . 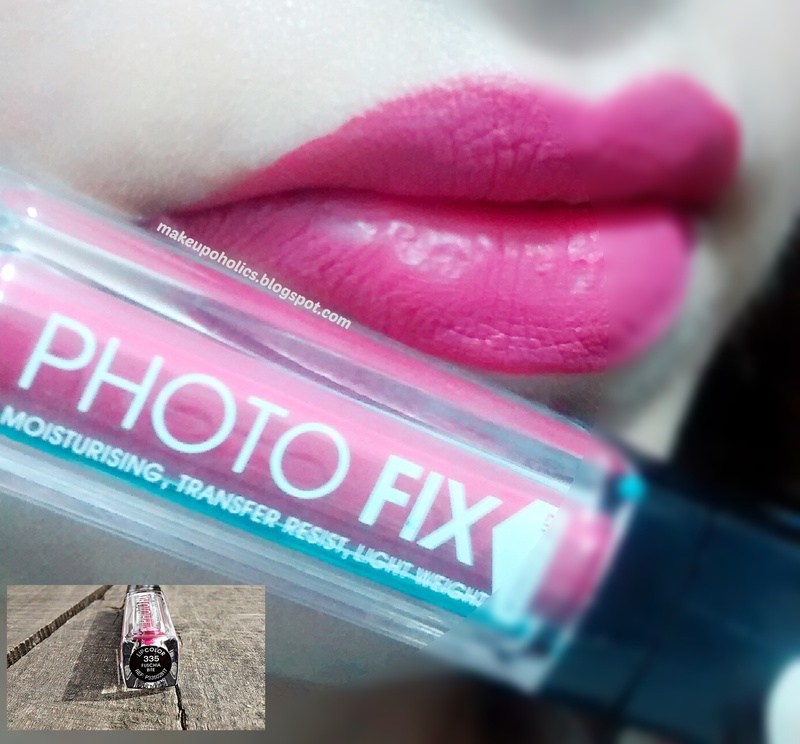 It fades evenly on lips without leaving any patches on lips. 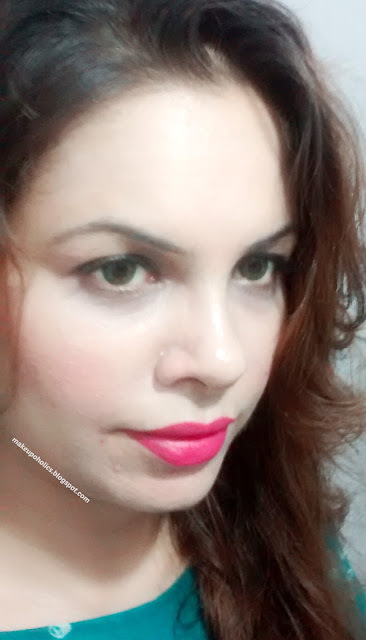 Based on all these qualities , its one of my most favorite liquid lip color and I gt tons of compliments every time i have this beauty on my lips . I definitely would love to try other colors from the range . 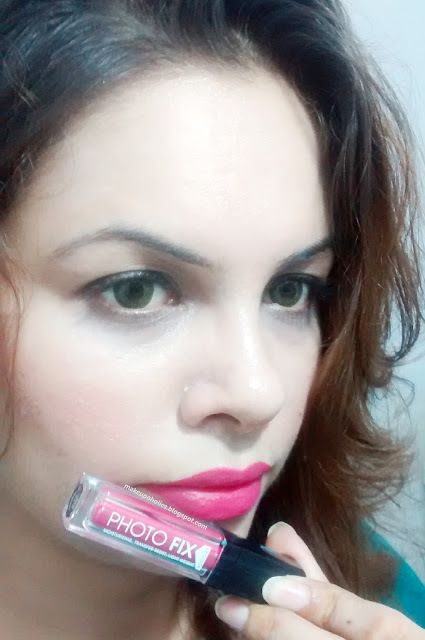 YES , its creamy , pigmented and light on lips plus the color is just amazing with good staying power. 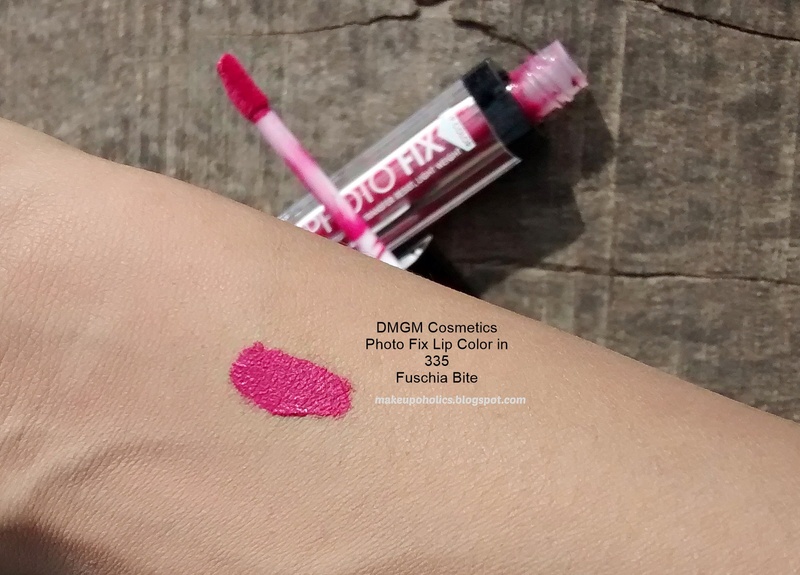 DMGM Cosmetics Photo Fix Lip Color in shade " FUSCHIA BITE " comes with a price tag of PKR 1050 and is easily available across the country. Read about my DMGM Cosmetics Haul HERE . 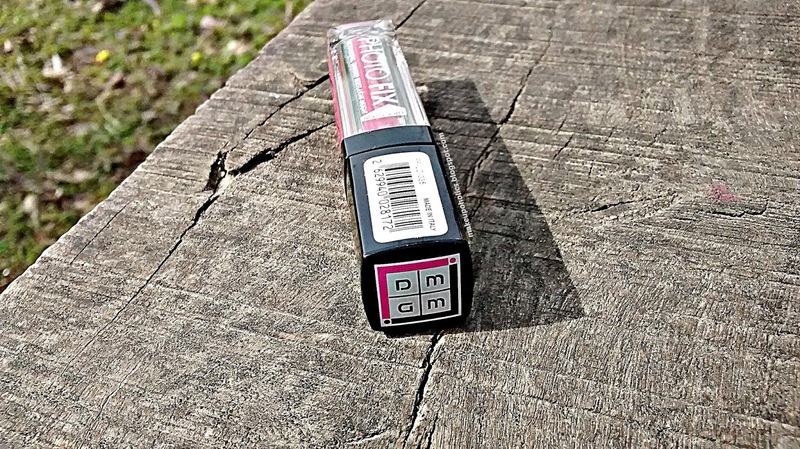 For any information and updates about DMGM Cosmetics , Check their Facebook page or their Website . Such a lovely bright shade <3 Great review, Sana!! It's good if it's non sticky.